Putting on the VR headset for the first time is a truly awesome experience, but can also be a little dizzying after a while. The best defense against this is by having a super fast frame rate with a constant 60fps as a minimum. The reason for this is simple. In daily life you turn your head all the time to look around in the real world. Your brain is extremely accustomed to this change in instant head rotation. In fact, your brain requires it. With the VR headset you are creating your own digital world but all the real world expectations still exist. I can’t even begin to tell you how jarring it is if the frame rate drops to around 20fps or so. As you look around the visual lag is so striking that your brain starts to ache, in a weird motion-sickness-kind-of-way. Thankfully, all you need to do is keep your frame rate up and this issue just disappears. For the Tuscany Demo we wanted a very rich, bright, colorful, and detailed world all while running on medium grade computers. We were also co developing for a custom C++ version of the environment which had very limited rendering capabilities, but still needed to look exactly like the Unity version. It was a bit of a challenging task, but our approach was to go low res with the modeling and ultra high res with the textures. This way we had the rich detail that would hold up even if you walked right up to an object all while running very fast on even our lowest system spec. In fact, we designed all objects in the scene: house, fences, distance objects, etc to look good as low res objects. It totally reminded us of developing for PS2, but with huge 2K textures on everything. Measure everything. Make sure you use a consistent unit scale and match to the real world. Try to use a few everyday objects in your scene to reinforce world scale. High Res textures from photo sources adds the kind of realism your mind will expect. Be sure to adjust the camera and character size to a proper height. It might even be good to allow the player to change these values in the game. Ambient animations (birds, particles, butterflies, dust) and ambient sound FX go a LONG way in making the world more believable. Try and create little areas of the environment that tell a story. Building a VR world is an environment artist’s dream project. Adding camera bobbing with the walk animation adds a ton of realism. Watch the speed of the character movement. Too fast feels unnatural. We found to error on the slower end of the speed spectrum. Adjust character speed when going up and down ramps like stairs, make it much slower for more realism. While many console games focus on fast action and tons of bullets and explosions flying everywhere, I expect VR games to be far more subtle in design. A strange thing happens when you have the headset on – there is no longer any safety net of the real world in your peripheral vision, only this new digital world. It’s a new level of immersion that creates an interactive intimacy like never before. Most of the console genres of such as shooting and fighting games will probably be way too much movement and chaos in VR. These console games need to be designed like this to keep the player interested and not wandering off during a play session. 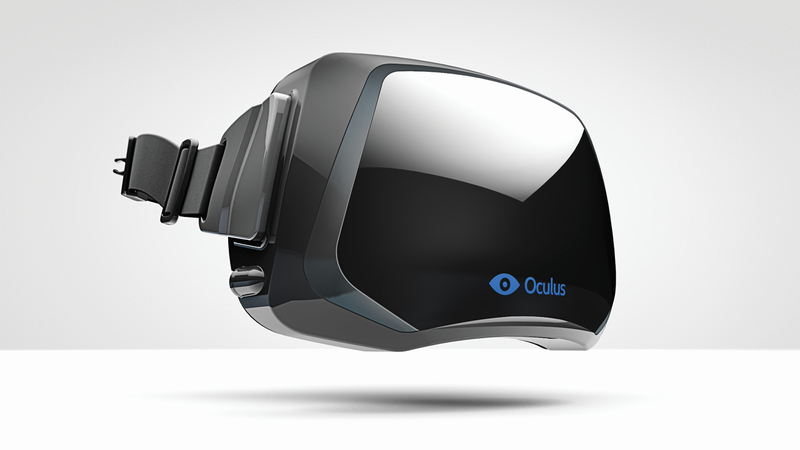 With the Oculus Rift, the entire play session mindset changes. You start to think, “OK, I’m going to get lost in the world for a while and just kind of zone out”, kind of like when you decide to watch a movie. You completely escape the real world when in the VR digital world. My prediction is that this will bring a host of new and eclectic game genres to the medium. Sure, there will be ports from other games, some of them big franchises, but the games designed for the Oculus Rift will really shine. Genres I see are some older types coming back in a new way such as the adventure, hidden object, mystery genre like Myst. I also see survival horror doing extremely well here, especially games that get the suspense element down cold. Of course, super hero games can be really great too, but not the typical style like Superman or Iron Man. I suspect something like the TV show Heroes can do well since it’s so grounded in reality and the powers are more subtle. It’s exciting to think that games can finally be as intimate and immerse as a movie if done right.